This craft has a bug jar that you catch bugs in. You have to cut out the bugs and glue them on the jar. 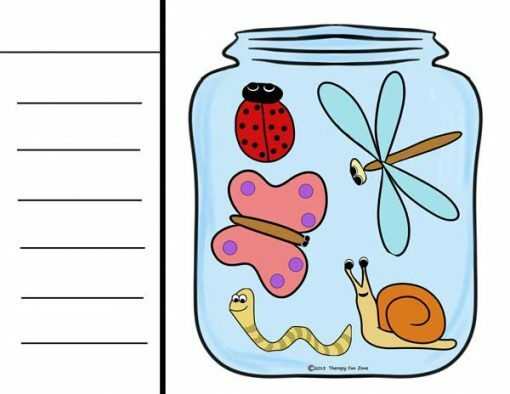 There is a version without color so that the students can color the bugs first too. With this craft, I have just my usual activity base paper. I printed the bug jar right on the base paper so that the bugs could be cut out and glued right into (on) the jar. You can either color the bugs, or have them already colored. There is a white jar version, and the blue jar. The file is all one pdf so you have to pick which pages you want to print out. With the lines at the side of the paper, the students have to write some things about bugs.